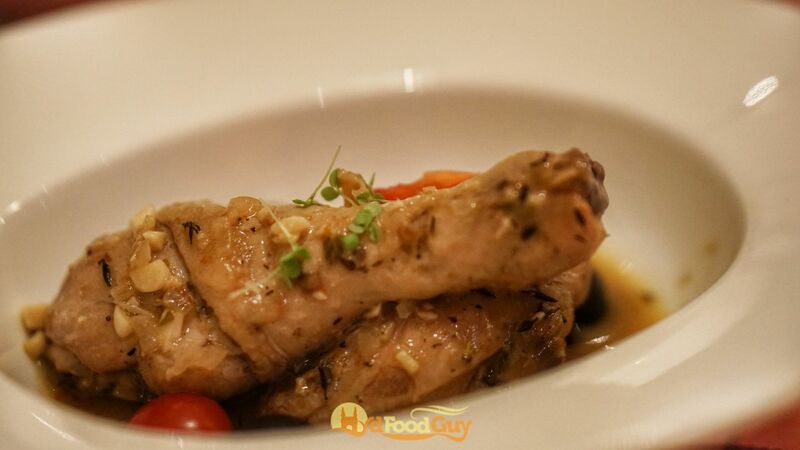 The best cooking is all about heroing the ingredients and letting them shine. 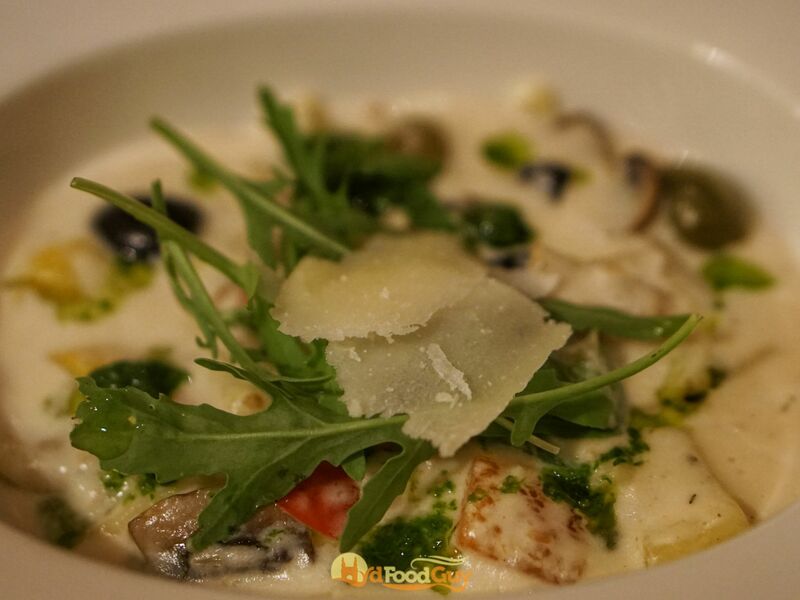 And, very few cuisines do this better than Italian. 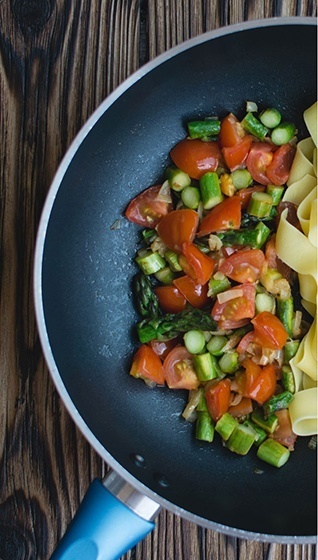 From proteins to herbs and vegetables, Italian recipes treat each element of a dish with the utmost respect. 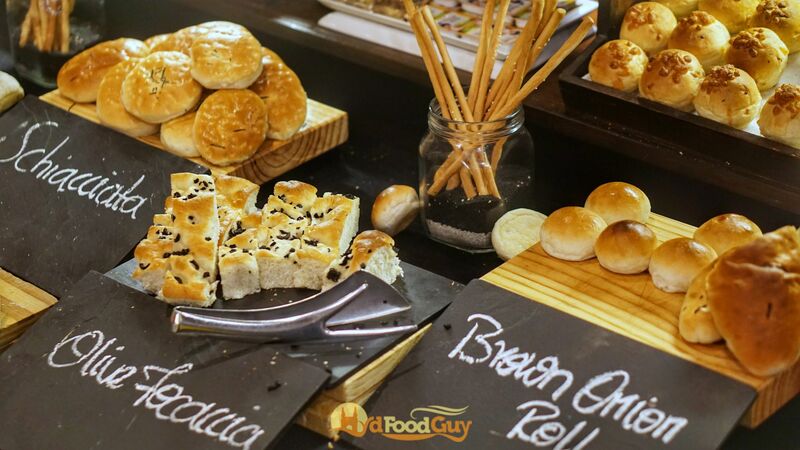 The weeklong ‘Buon Appetito’ Italian Food Fest at Novotel Hyderabad Convention Centre celebrates the best that this cuisine has to offer through an exquisite showcase of expertly crafted delicacies prepared with some of the finest ingredients. 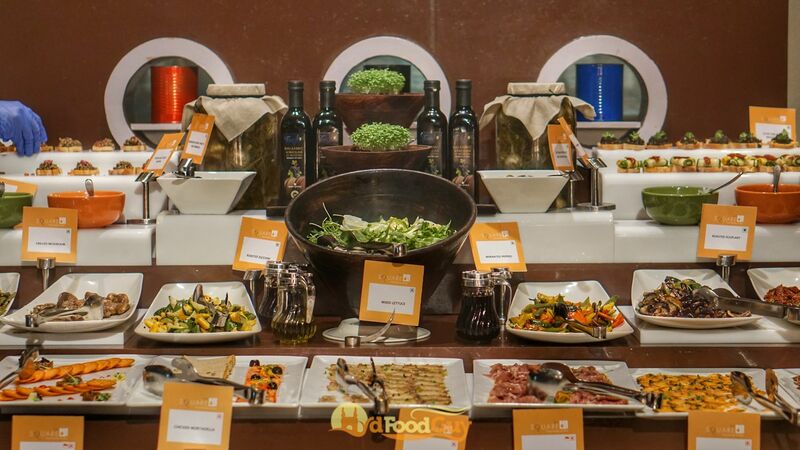 A good chunk of the lavish dinner buffet at The Square has been devoted to the Italian food festival. The Antipasti counter was a sight to behold. 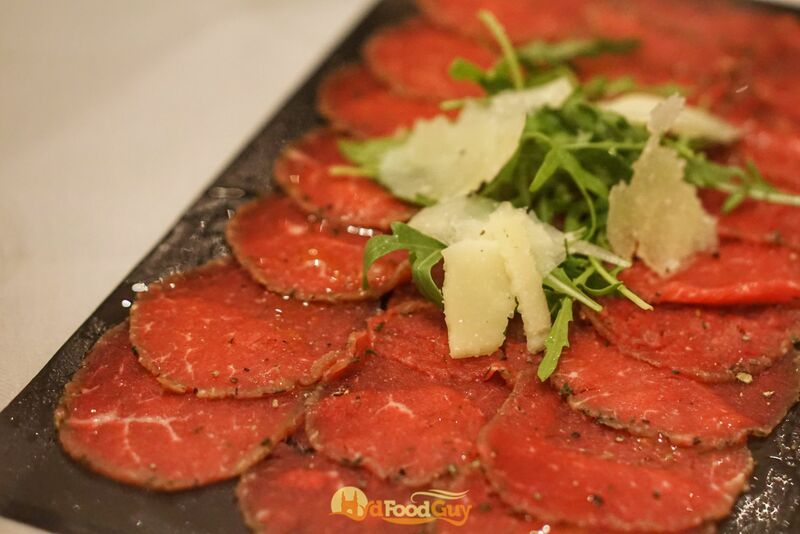 A multitude of non-vegetarian cold cuts including Milano Salami, Pepperoni, Chicken Mortadella, Parma Ham, Smoked Salmon Carpaccio, and Tenderloin Carpaccio were on offer. Vegetarians had Bruschetta with an assortment of toppings, Roasted Eggplant, Grilled Mushroom, Roasted Zucchini, and Sundried Tomatoes to relish. I picked up a little bit of the Tenderloin and Salmon Carpaccio and headed to the Cheese Bar to fill up my plate. There were seven different Cheese on offer – Scarmorza, Bocconcini, Pecorino, Provolone Dolce, Gorgonzola, Bocconcini, and Burrata. Paired with a glass of wine, I picked Cabernet Shiraz, it’s the perfect note to begin the evening. I moved onto the next course, Primo, by heading out to the live counter adjacent to the alfresco dining area. I skipped the assortment of bite-sized eats (Fish Dumpling with Thyme Butter, Pesto Chicken Phyllo Parcels, Calamari Fritto, Stuffed Mushroom Lava, and Veggies), and ordered a Calzone and a Pizza. Both of them were excellent, but the Pizza was especially impressive. 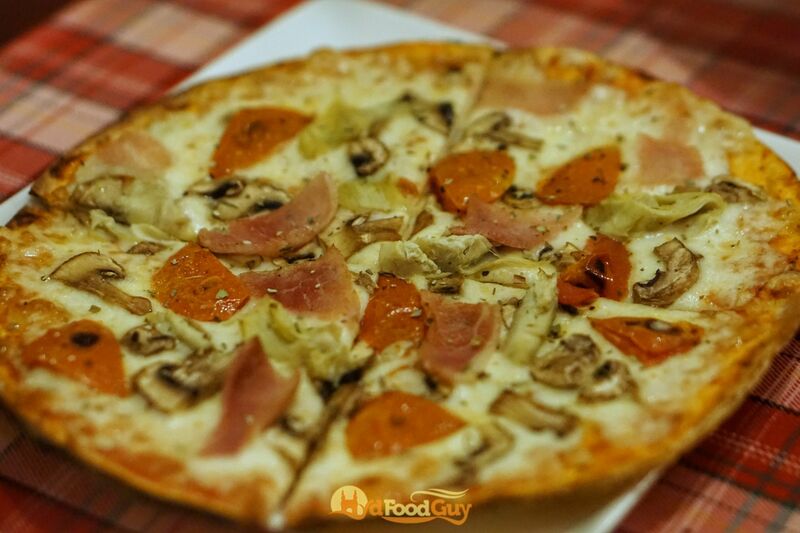 A perfectly baked thin-crust pizza topped with mushroom, ham, and pepperoni and garnished with Arugula leaves. Indoors, the pasta counter was dishing out several variations of delicious Pasta. Every day there are four different kinds of pasta on offer, including two handmade varieties. The Spaghetti in Pomodoro was the most conventional of the lot but still surprised me by how much I enjoyed it. The Agnolotti in Alfredo sauce offered an unexpected but pleasant caramelised onion stuffing. And the Prawn Ravioli further reinforced my love for seafood pasta. Primo is supposed to be the lighter pre-cursor to the meaty Secondo. But with the tempting array of pizza and pasta on offer, I couldn’t help but overindulge. I wrapped up this course with a small helping of Truffle Oil Mushroom Risotto. 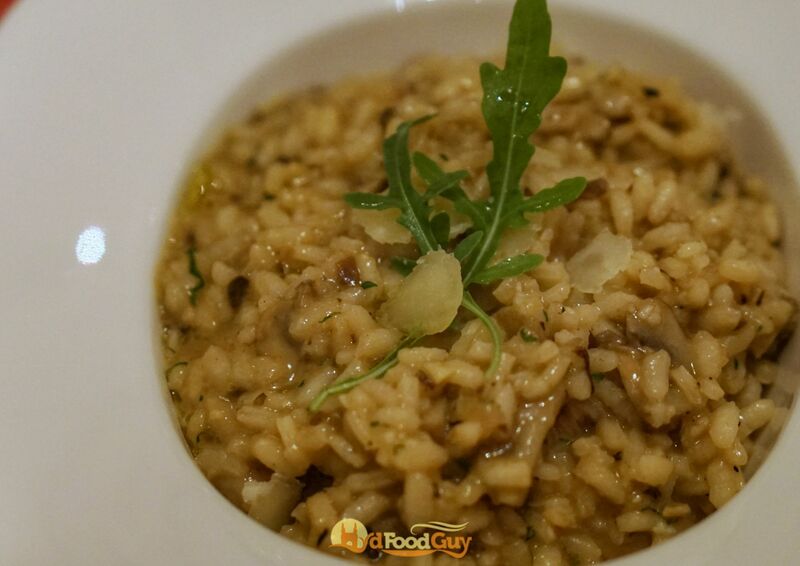 The flavour of the Truffle Oil could have been a bit more pronounced, but the Risotto was pitch perfect; Carnaroli rice cooked al-dente with just the right amount of creaminess. Almost out of appetite, I was forced to make quick work out of the next course and move onto the Dolce. 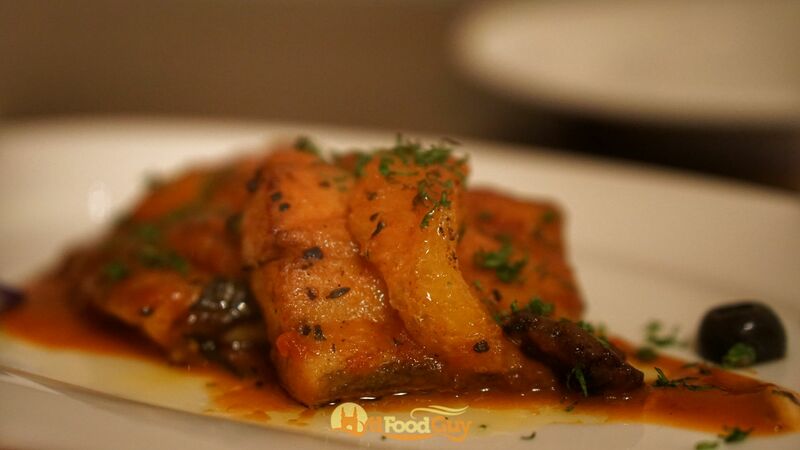 I tasted small portions of three dishes from the Secondi – Parmigiana di Melanzane (Baked Eggplant with layers of Cheese and Tomato Sauce), Braised Chicken, and Oven Roasted Sea Bass with Spinach, Tomato, Orange Coulis. 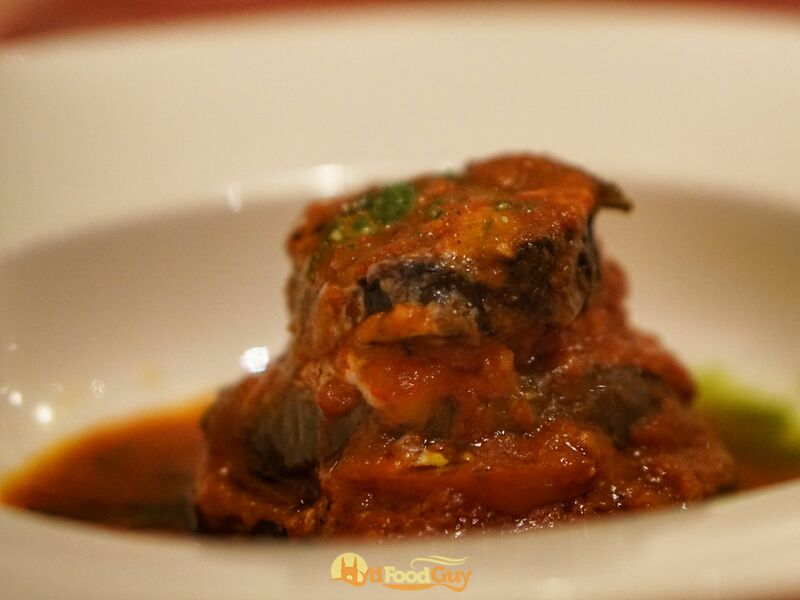 While none of the dishes offered room for complaint, the Flavourful Kolkata Bhetki (Seabass) was positively delightful. 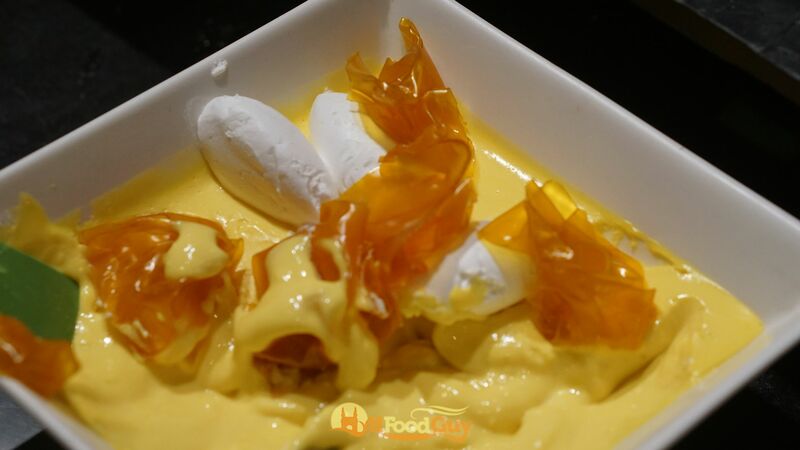 One just can’t end a lavish Italian meal without some yummy dessert. There was a pretty interesting selection on offer including Banoffee (Banana and Toffee) Gelato and Sugarfree Passion Panacotta. The Italian Food Fest will continue until the 26th. 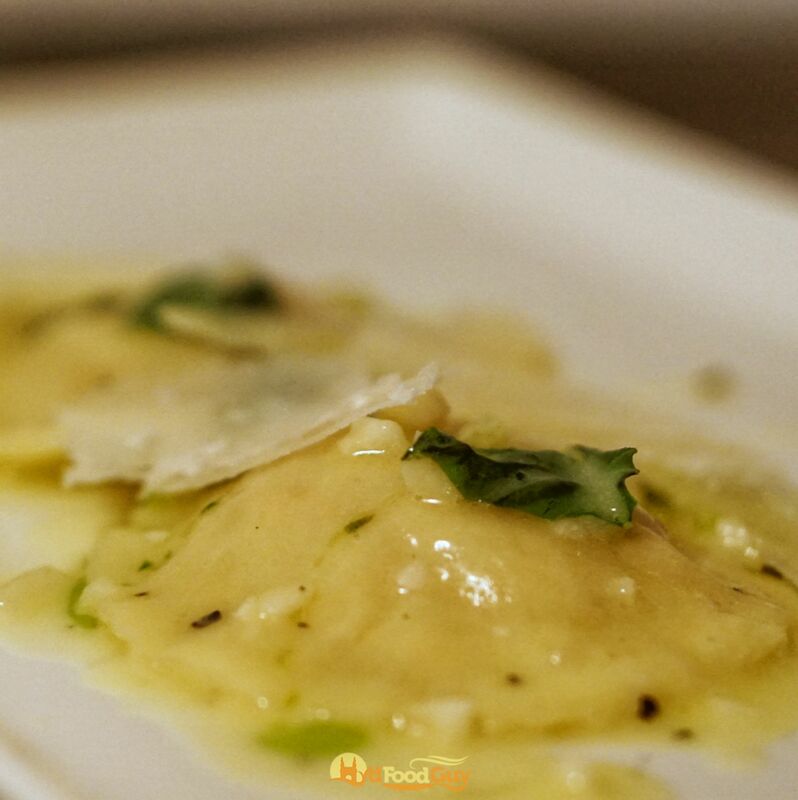 While there’s no dearth of Italian restaurants in the city, it’s a pleasant surprise to see the amount of effort that was put into both retaining the authenticity and showcasing the brilliance of the cuisine. 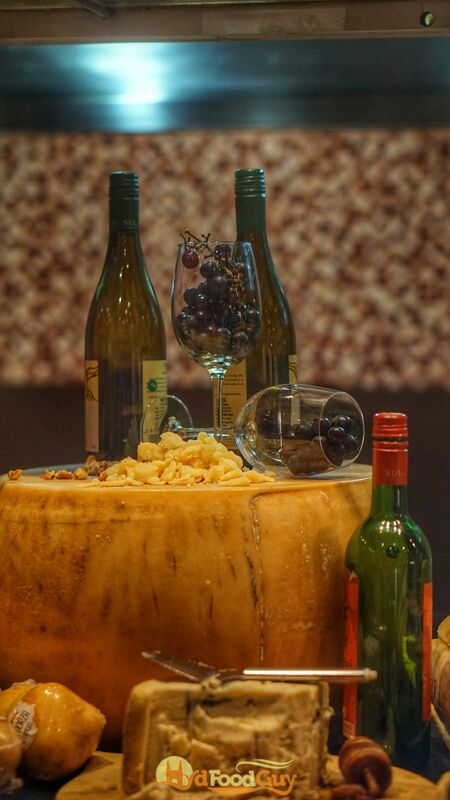 Just the antipasti and cheese bar alone puts this festival in a different league. 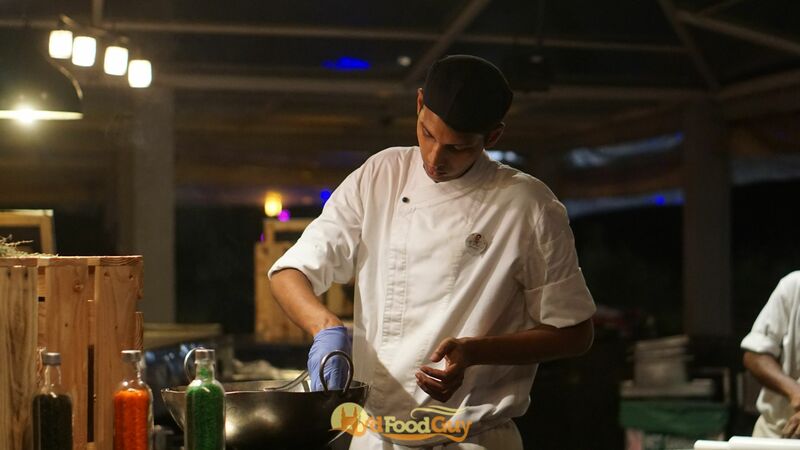 Much of the credit for the festival goes to Sous Chef Meenanath Pawar who recently joined Novotel and was previously stationed at JW Marriott Mumbai. Buon Appetito is priced at Rs. 1600 (taxes extra) from Sunday to Thursday and Rs. 2250 (taxes extra, includes IMFL) on Friday and Sunday. 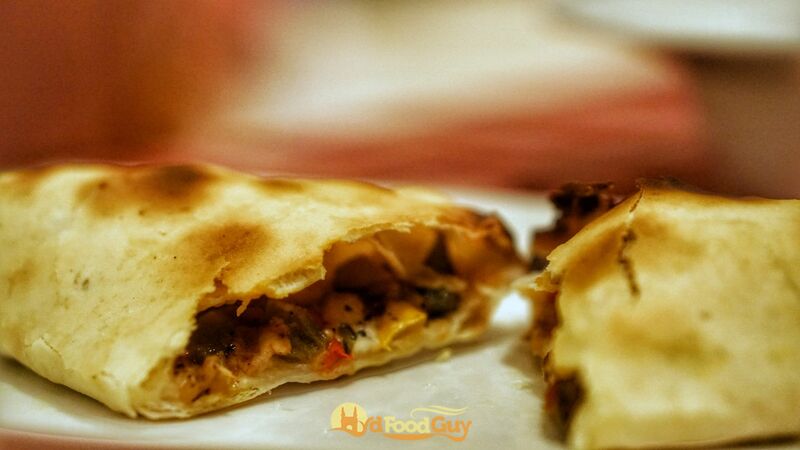 The food fest ends on 26th Nov.